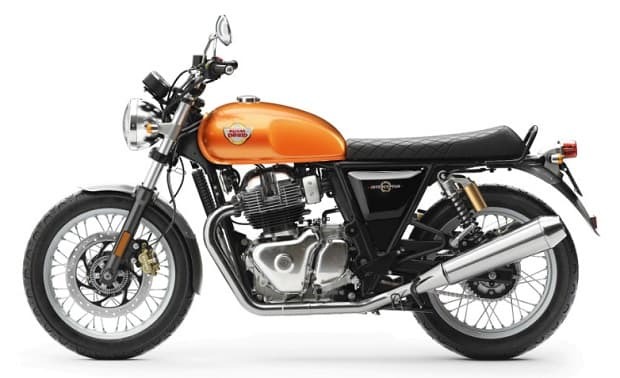 The Royal Enfield fans in India will be in a festive mood with the news of debut of the Twins- Interceptor 650 and the Continental GT 650 for the Indian market. Both the bikes were unveiled in chrome finish at the annual Ridermania event in Goa on Sunday. It was widely anticipated that Royal Enfield will launch a 750cc motorcycle after some spy shots did rounds on the internet. But the brand made a surprise revelation earlier this month by introducing a 650cc parallel twin engine. The newly released flagship models- the Interceptor 650 and the Continental GT 650- run on this engine. The engine is claimed to deliver 47PS of power at 7,100rpm and a peak torque of 52Nm at 4,000rpm. The Interceptor 650 has been designed keeping in mind the old legacy design of 1960's. It is a leisure type motorcycle with water-drop shaped fuel tank, quilted dual-seat, wide braced handlebars and an awesome pair of rear-view mirrors. The bike sports a shiny steel body. All these features make it perfect beast for city driving as well as long weekend drives. The motorcycle is also equipped with classic 18-inch Pirelli (Italy based tire company) tires and twin shock absorbers on each tire. It further boasts of front and rear disc brakes with ABS, a ground clearance of 174mm and a seat height of 804 mm. Siddhartha Lal, CEO Royal Enfield while introducing the Interceptor 650 quoted that it was about continuing the legacy of Royal Enfield into the 21st century. He also stated that the current model is a combination of old luxurious style combined with a powerful modern machine. The Continental GT 650 on the other hand is more of a racer character with great engineering and design improvements in the model. It shares its engine and other machinery with the Interceptor 650 while offering a completely different style and comfort level. It is almost identical to the existing single-cylinder Continental GT 535, especially from the front, retaining the same headlamp, fuel tank and many such elements. Meanwhile the rear has gone through some changes-as featuring the new dual side muffler exhaust. Both the variants are expected to be available for the Indian market from March or April next year. Expected to be priced under Rs 3.5 lakhs, both the bikes will be way cheaper than their respective competitors. 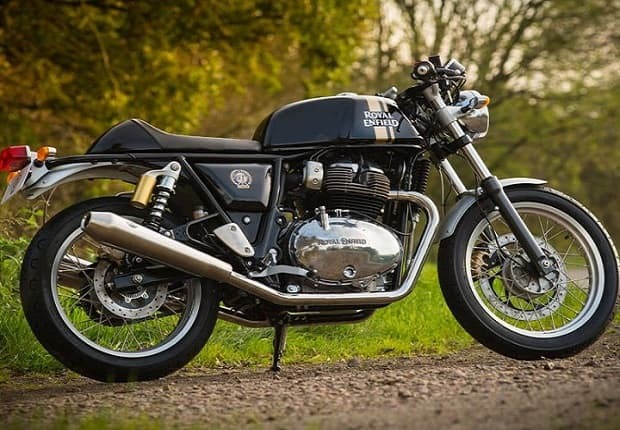 If the bikes are indeed as has been showcased by Royal Enfield, they definitely stand to be in good demand in the country pushing up the motorcycle market share of the company even higher.